Following our first youth centre project VOX, we were inspired by the creativity of youths in using loose elements to create their own "thing". For this centre, we proposed an ambiguous kit parts comprising boxes, shelves, boards, all of which are loose and can be reconfigured to create whatever the youths want. From tables, to skating platforms to display board or video walls, these kit of parts allow flexibility in the use of the centre's facilties, thus encouraging the user to occupy, participate, create, determine etc. We did away with the standard sterile youth hub spaces: reception check-in counter, prison-like counselling room, study room, workshop room and generally cold functional youth spaces. Instead everything is more friendly, open,warm and cosy. Generous use of OSB timber complements the starker finishes of screed and epoxy. Large wood walls line the sides of the youth hub space. These wood walls become a holding area for the kit of parts, which become an integrated part of the entire wood wall, and these kit of part pieces can be "pulled out" and used on its own. 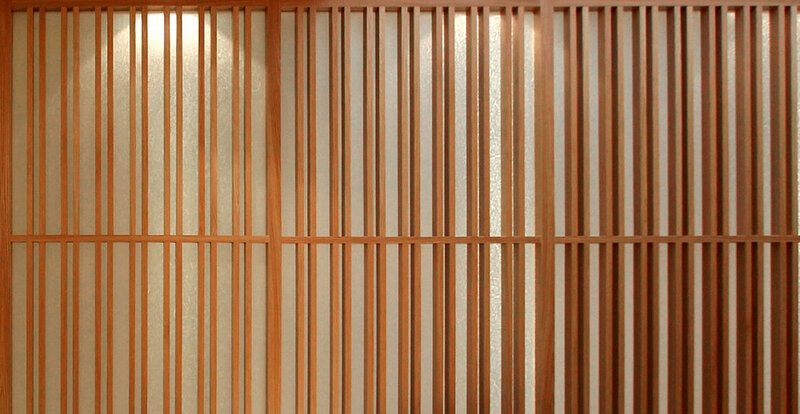 2 types of wood walls are created - the loft model and the amphi-theatre model. The loft model has a loft space and niches for the youth to occupy, allowing them to be engaged easily and privately by the social workers. The amphi-theatre model comprise a few steps for youths to seat facilitating events or workshops. We opened up the space with larger windows to bring light into the space, as well as to showcase the internal activities to the residents that will walk pass this centre thereby generating more interest and buzz for the centre. Glass blocks line the walls facing the common carpark, blocking the views while bring in light. 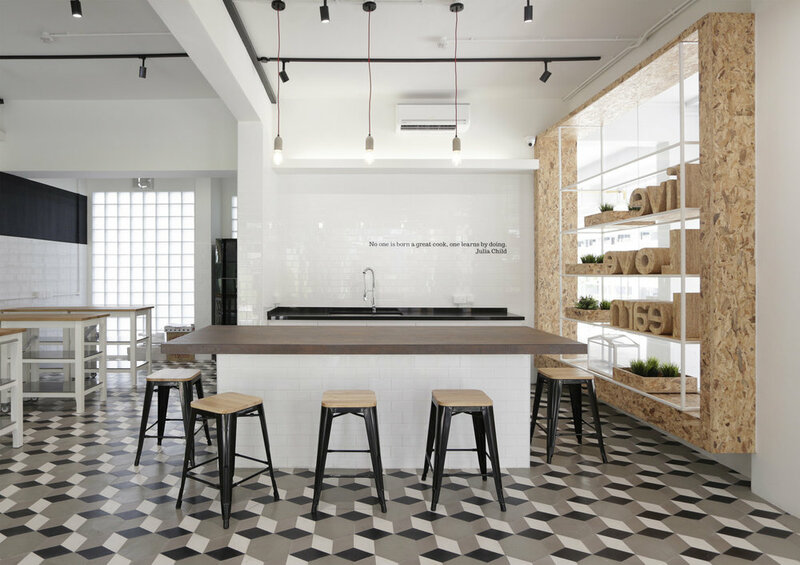 A kitchen studio for cooking classes is planned for this youth hub and this kitchen space is placed right in front of the centre, serving as a display showcase to attract attention. A chill-out space opens up to the community, allowing interaction and engagement with community. A café-like quality to this space complements the kitchen studio which can open up for cook-up events. 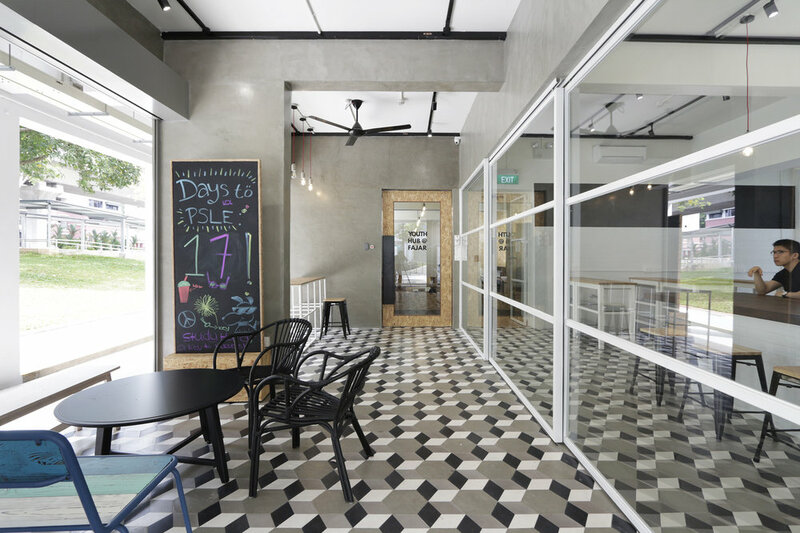 Geometric floor tiles define this space, complementing the geometric kit of parts inside.